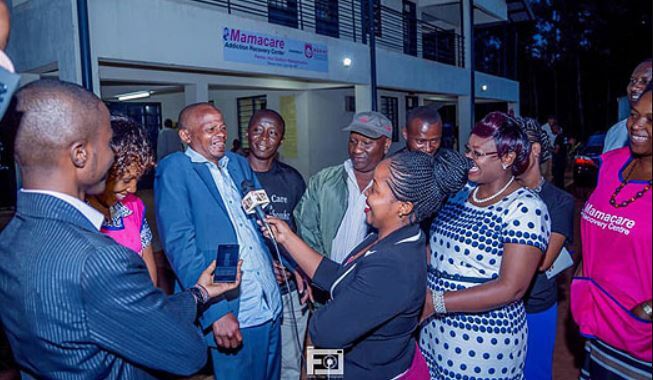 The once-famous Martin Kamotho, popularly known as Githeri Man, on Wednesday once again earned the recognition of President Uhuru Kenyatta during the graduation ceremony of rehabilitated alcoholics. 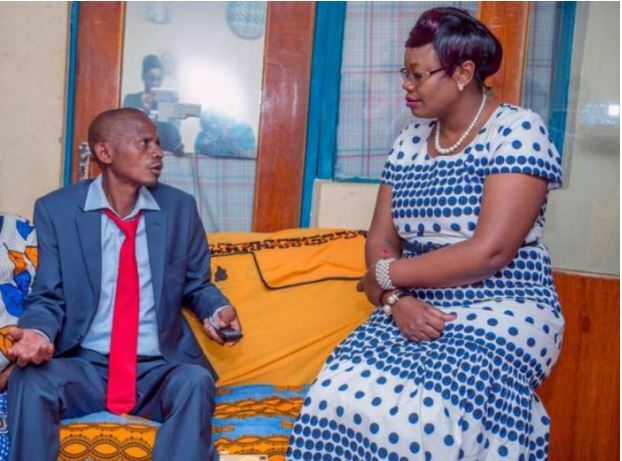 Githeri Man, who received a State Commendation last year, was among 77 recovering alcoholics who received certificates from the President after successfully completing a nine-month rehabilitation programme at Mama Care Rehabilitation Centre in Wangunyu Primary School, Kiambu County. During the ceremony, Kamotho urged youths to stay away from alcohol and drugs and obey their parents. 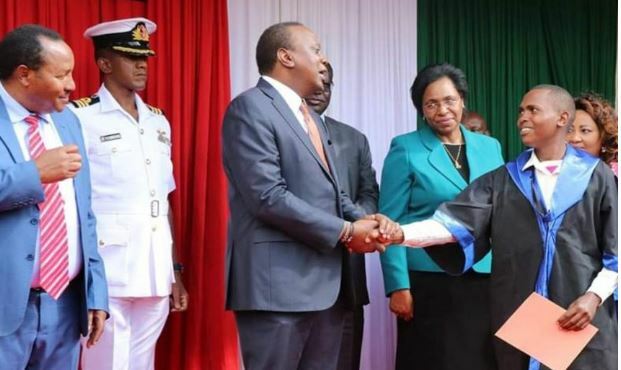 President Uhuru appealed to Kamotho and the ‘graduates’ to be ambassadors in the war on illicit alcohol. He urged them not to waste time and get married and sire children. The Head of State also lauded Kiambu women rep Gathoni Wa Muchomba for initiating the rehabilitation program and encouraged other counties to emulate it. “This is a good project that needs to be emulated countrywide. We have all witnessed where the monies given to women reps are going,” he said. Wa Muchomba said the rehabilitated men had been trained to be tailors, carpenters, and caterers to provide them with skills to earn a source of income. “We are giving them items bought by the NGAAF kitty to help them start businesses which will help support their lives and families,” Gathoni said. The Mama Care Rehabilitation Centre is funded by the National Government Affirmative Action Fund.